This very soft half-sized foam roller offers a gentle, sponge-like compression. The Sara Meeks Half Roller is an ideal product for your patients as you help educate them on the condition of osteoporosis and how to manage it from a physical therapy standpoint. 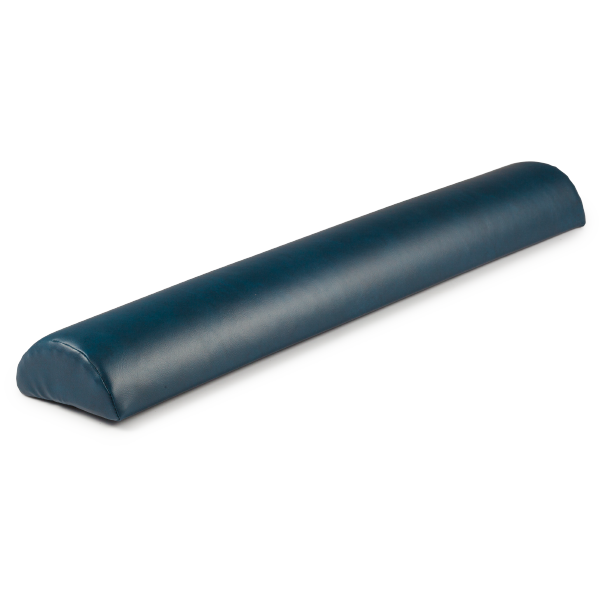 Patients can use this half roller as they incorporate The Meeks Method for Exercise and Movement into their healthcare program. Made of soft density foam, the half roller can be used in a recliner chair, in bed —or just about anywhere the patient feels comfortable. An excellent tool to help improve spinal alignment and balance, in addition to stretching the hips and knees in side-lying positions. 36" x 3" half round with vinyl blue cover.